13419 ft (4090 m) Highest point in Armenia . 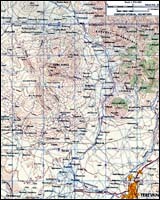 The Lesser Caucasus is a separate range which roughly parallels the main arc of the Caucasus, but lying about 125 miles (200 km) farther south along the Turkey-Georgia border and into much of Armenia. 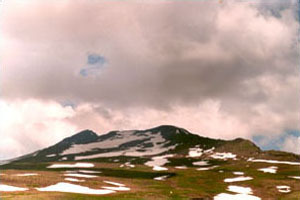 There are numerous volcanoes scattered throughout the region, the tallest and most famous of which is Aragats, a prominent landmark easily visible from the Armenian capital of Yerevan. 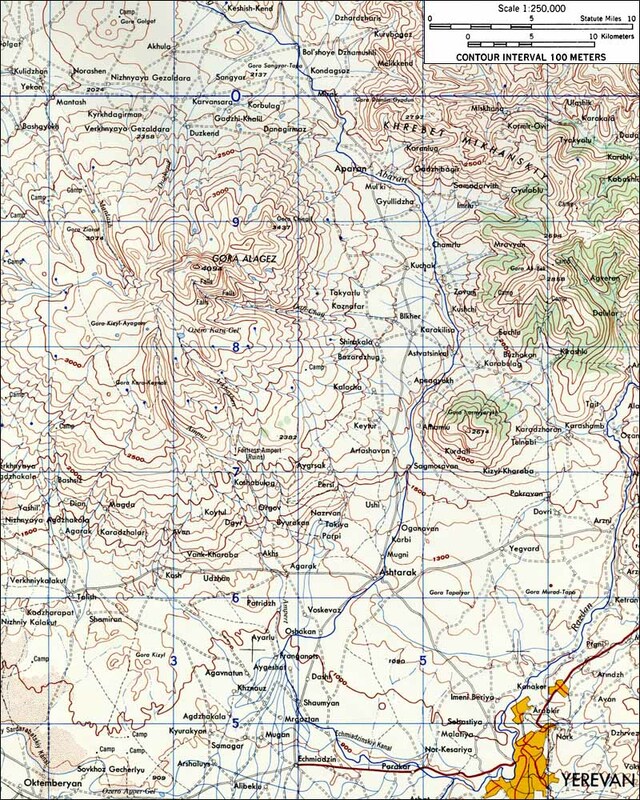 The southern slopes of Aragats are quite moderate, and easily accessed from the Cosmic Ray Division of the Yerevan Physics Institute, located at 10500 ft (3200 m) beside an alpine lake. Deep winter snows provide numerous ski mountaineering and touring possibilities in the area.